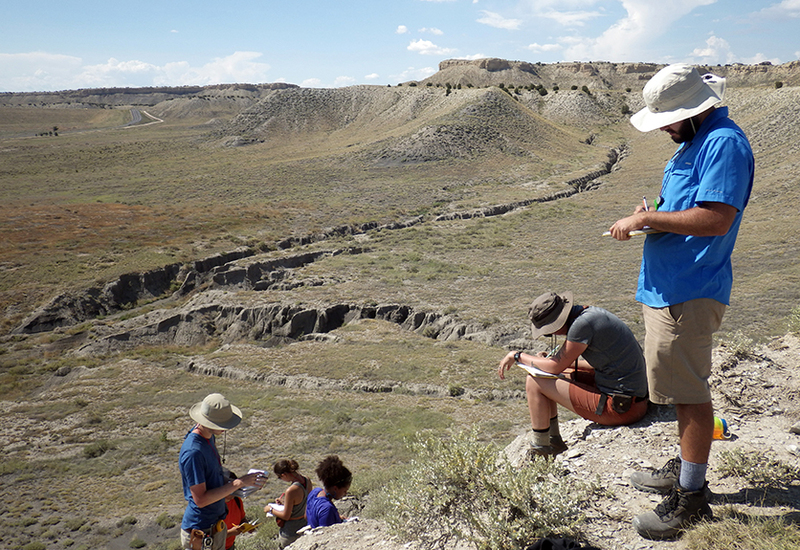 Many students majoring in Earth and Planetary Sciences participate in summer research and employment within the department and elsewhere on campus. Talk to your professors to find out about upcoming opportunities. Competitive summer research programs are wide ranging in duration, pay (or cost! ), and location. Opportunities exist at national and international research institutions. We highlight several high quality programs below, some of which our students have completed. If you would like to discuss your plans for finding a summer internship, contact the Director of Undergraduate Studies, Prof. Andrew Jacobson, or the Assistant Chair Dr. Patricia Beddows. We are happy to help you find a good program that will support your learning and professional development as an earth scientist. These competitive and prestigious positions generally encompass formal learning with the opportunity to conduct real research. You will become part of a group of students (~10) at a host university or research institution (NASA for example) all focused on some of the most progressive research areas in the field and laboratory today.REU positions can be transformative in your academic development. The NSF funding often includes stipends and, in many cases, assistance with housing and travel. The REU webpage includes not only sites for Earth Sciences but also many aligned fields that you should also consider, such as Atmospheric and Geospace Sciences, Ocean Sciences, Polar Programs, Astronomical Sciences, Physics, Chemistry, Biological Sciences and much more. While many programs are offered every year, there are new programs appearing all the time. Be sure to check these opportunities annually. These are paid Geoscientist Opportunities on National Parks, National Forests, and BLM Lands “The Geological Society of America strives to increase the presence of geoscientists on federal lands, thereby increasing the permanent hiring of geoscientists, enhancing the transfer of geoscience knowledge to land managers and the public, and raising awareness of the geosciences.” Student membership in GSA is required for eligibility. Good general information on how to prepare a strong application is provided in the ‘Tips’ section of the GSA website. This program involves undergraduates in seismological research projects at the universities and research institutions that belong to the IRIS Consortium. A 10 week program for selected undergraduates to participate actively in lunar and planetary research with scientists at LPI and the NASA Johnson Space Center (JSC). The USGS offers a variety of quality student internship opportunities. Be sure to seek out active internships for the coming year by searing for them on the main USGS webpage. State Water Resources Research Institute Program, which provides undergraduate and graduate students with career enhancing field, laboratory, and research experience through participation in USGS activities as interns. The program is a collaborative effort between the USGS and the National Institutes for Water Resources in selected States. USGS Student Educational Employment Program - SEEP, which offers valuable work experience directly related to your academic field of study. The NPS is looking for experienced earth science professionals and students to work with park staffs to help them understand and manage the resources through examining the geology, water, air, and integrated sciences. The work varies greatly from park to park and may be broad or specific in scope. Please see the NPS GIS program website for more information. The Sierra Club through their Washington DC office offers three types of internships which are issue, political, or media oriented. Interns may conduct research, gather and analyze information, write summaries and factsheets for educational purposes, help prepare Congressional testimony, and accompany staff on visits to Congressional offices. The DOE provide information on nation-wide opportunities for research participation, fellowships, scholarships, training, and internship programs for undergraduates, grads, postdocs, and faculty. Amongst the opportunities through the DOE, is the Science Undergraduate Laboratory Internships (SULI) that places students in paid internships in Science and Engineering at any of several Department of Energy facilities.